Milwaukee’s Wilde Honda Waukesha brings you a great selection of new Honda cars and used car sales. We also offer professional auto repair in the Milwaukee area including money-saving service coupons. Conveniently located in Waukesha, we service the greater Milwaukee area including Greenfield, Racine, and Glendale. 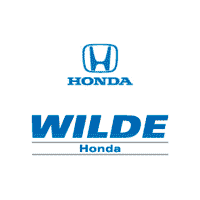 Of All the Milwaukee Car Dealers, Why Choose Wilde Honda Waukesha? Since 1971 Wilde Honda Waukesha has operated in the same area, invested in our community, and earned the reputation of excellence that keeps our customers coming back. We decided to do away with the high-pressure sales tactics and gimmicks. We wanted to focus on becoming the best car dealer in Milwaukee by offering a tremendous customer experience. That starts with our massive Honda Inventory. Wilde Honda Waukesha is Milwaukee’s #1 volume Honda dealer* for new Hondas. By stocking our lot with over 500 Honda Models we allow our customers to choose their dream car. When you’ve found what you’re looking for, choosing from our financing options is easy and affordable. By searching our Milwaukee Honda Inventory you can find any Honda make or model, schedule a test drive, and request a quote! Choosing between purchasing a new car and a lease can be difficult. There are dozens of factors that one must consider. Fortunately, our Honda Lease Deals offer our customers affordable, low-interest leases on a new Honda, with relaxed mileage limitations. All types of credit can qualify for an auto loan. We will work with you to secure a no credit car loan if your situation demands it. Wilde Honda Waukesha has strong relationships with lenders and is committed to finding you the perfect car loan company to suit your car finance needs. Low-interest car loans are available for customers with existing high-interest loans. We can help you refinance your car loan or adjust the term of the contract. You’re just a step away from approved car financing! Wilde Honda Waukesha is Wisconsin’s #1 Volume Honda Certified Used Vehicle dealer*. Our Certified Pre-Owned Hondas have gone through a rigorous multi-point inspection, and a CARFAX vehicle history report is reviewed to make sure only the best vehicles make it onto the show floor for purchase. Only well-maintained Honda vehicles that are under six years old and have fewer than 80,000 miles are eligible for certification. We also serve as a Milwaukee Car Dealership offering used car specials. Our Milwaukee Used Cars are always priced competitively and are available to view on our website, or in person! Wilde Honda Waukesha boasts some of the most highly-qualified, factory-trained mechanics in Milwaukee so we may provide exceptional service for your Honda. Our Auto Repair Center is consistently stocked with a large variety of Honda parts and accessories so we can get you back on the road as soon as possible. From oil changes to transmission replacements, we are dedicated to maintaining top tier customer service, for both new and used car buyers. We also offer monthly Auto Repair Service Coupons to our customers to keep costs as low as possible. Use our Online Service Appointment page to set up an appointment with the best mechanics in Milwaukee! We look forward to serving your automotive needs and hope you choose Wilde Honda Waukesha for your next Honda or used car purchase in Milwaukee. The 2016 Honda Civic Sedan was awarded Car of the Year by Auto Guide. For more information, visit AutoGuide.com. AutoGuide.com is a registered trademark of Verticalscope Inc.
Dealer not responsible for misprints, omissions or typographical errors. John Sudano and Wilde Honda were amazing!! They made it quick and I received a great deal. It’s was a Great experience from John , Rod, and even finance. Thanks again guys!!!! I purchased a vehicle a few weeks ago and could not have been more happy with the service provided by the dealership! Chandler was my salesman and he was helpful, patient and knowledgeable about his product.